Nvidia vs. ATI: Who’s the Fastest, Anyway? 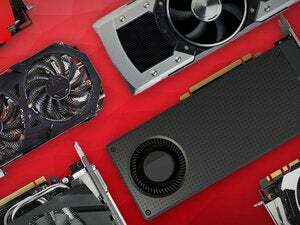 A major upset took place recently in the ongoing battle for high end video card supremacy. For the past couple of years, it has mainly been a one horse race as Nvidia's 8800 series took the crown and wouldn't let go. After the June release of Nvidia's latest creation, the GTX 280, it seemed like the green guys would continue their dominance and maintain the lead in the high performance market. Oh, how times have changed.The release of ATI's midrange 4870 video card sent out shockwaves by providing blistering performance while costing hundreds less than the GTX 280. This left Nvidiain the unfamiliar position of scrambling to stay competitive, which it did with significant price cuts of their 200 series cards just weeks after release. The real wake-up call arrived with news that a dual GPU version of the 4870 was due to release, which brings us to where we are today. This fall, a new performance champion was crowned as ATI's 4870 X2 graphics card made its official debut. The X2 easily outperforms every other card currently on the market. With two RV770 graphics processors paired together on one PCB, this monster is basically CrossFire on a single card and provides the performance you would expect from a couple of 4870 video cards in tandem. But unlike running two 4870 videocards, the X2 will run in CrossFire mode on any chipset! Each GPU sports 1GB of GDDR5 memory and makes this card a must have for ultra-high resolution gaming. 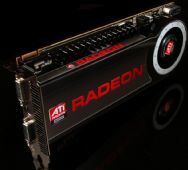 You'll want to pair it with a large monitor to make use of all the graphics processing power (think 1920x1200 resolution and up) and at least a 650 watt power supply with both an 8-pin and 6-pin PCIe connector. The video card runs hot and the fan can get a bit noisy but these quirks come with the territory when you play with high performance gear. For what it gives you, the X2 almost makes its $500 sticker price seem like a bargain. If you want the fastest graphics card on the planet, look no further than ATI's 4870 X2.